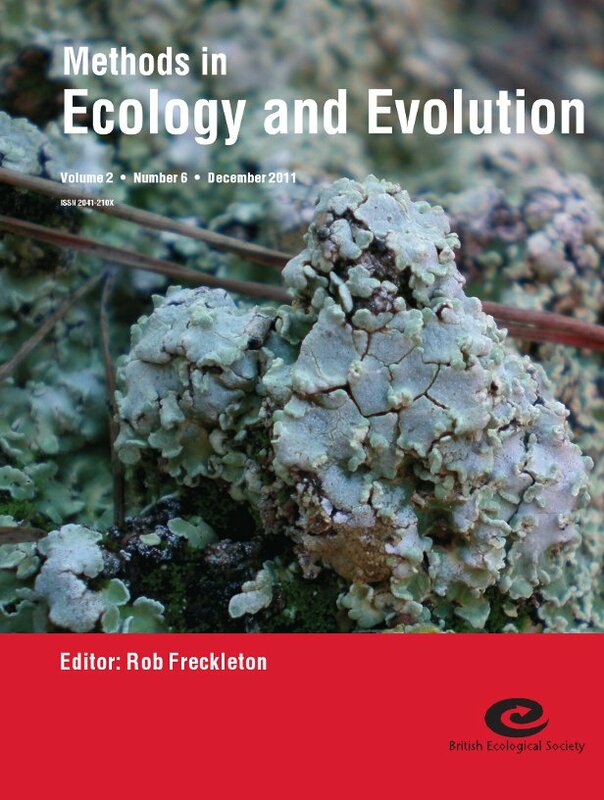 The cover image for the last issue of the year of Methods in Ecology and Evolution is a biological soil crust (BSC), a community which may be composed by mosses, lichens, liveworths fungi and bacteria that are prevalent in drylands worldwide. Lichen-dominated BSCs (like the one in the image) affect multiple ecosystem functions in those habitats where they are present, including carbon and nitrogen cycling, soil stabilization, and water infiltration and runoff. The article linked to the image is Randomization tests for quantifying species importance to ecosystem function by Nicholas Gotelli, Werner Ulrich and Fernando Maestre. In the article the authors introduce randomization tests for evaluating the effect of individual species on ecosystem variables measured in multiple plots. This approach is tested using data on ecosystem functioning in lichen-dominated BSC assemblages from central Spain, and further validated using an independent microcosm experiment. The method proposed in this article provides a simple index and statistical test of species importance that can form the basis for additional hypothesis tests and experimental studies of species occurrence and ecosystem functioning. This BSC-forming lichen community was photographed by Fernando T. Maestre in gypsum outcrops from Sax (South East Spain). This entry was posted in Journal updates and tagged Covers, issue 2.6 by Graziella Iossa. Bookmark the permalink.